What are the signs we are working for a leader we can trust? There are four clues we can look for in his or her demeanor and three characteristics all great leaders share. Start with these tips and discover if your boss is a trusted leader. DURHAM, N.C. - July 22, 2013 - PRLog -- How do we know we can trust our boss? Is this person a trusted leader? Sometimes we don't find out until we are working for that person whether or not s/he is a trusted leader. If you want to know if you can trust your leader: start with these four clues. 1) Is this leader reliable? Did they call you back promptly when you were interviewing for the job? Did they make the offer quickly? Are you able to find this person at work when you have a question and need direction? Can you count on this person to help you when you need it? 2) Is this leader open & honest? Do you feel like s/he was being truthful during your interview? Do you hear consistent news from your boss and others or do you hear one thing from your boss and another thing from your colleagues? 3) Is this leader competent? When you asked questions during your interview, did you get answers you liked? Did you get answers that were correct? When you have problems, does your boss know how to get a solution? 4) Is this leader compassionate? This is sometimes the hardest to figure out. We don't often see compassion during an interview, unless you locked your keys in the car or fell down the stairs on your way to the interview--there just aren't that many opportunities to demonstrate compassion. But, what about once you are an employee? Do you get the sense that your boss cares about everyone as much as him or herself? Or, do you think the boss is just out for him/herself. Finally, after you answer the ROCC of Trust questions, try to determine if you are working for a courageous, authentic and humble leader. We all know who these people look like, we just don't see them too often. We enjoy working for them, however, because they tell us that they don't know all of the answers and they really seem to care about our input. If you work for a trustworthy leader, congratulations! If you don't, you might start networking with friends while you look for a new job. There are trustworthy bosses out there, but they are too humble to tell you about themselves. Chances are, their employees will be happy to share that news with you. 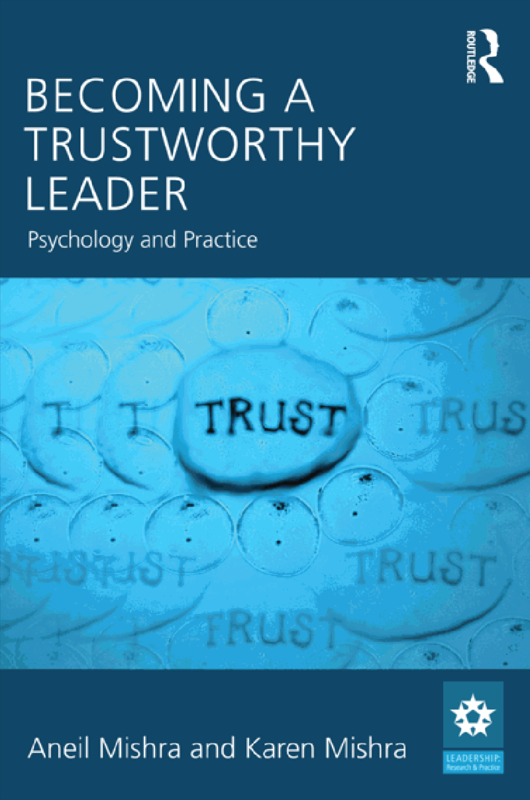 You can find more information on trustworthy leaders in our new book, "Becoming a Trustworthy Leader: Psychology & Practice." You can find it on amazon.